I just wrote the following short words on my Face Book page after hearing the patriots of the Benghazi report [especially the great chairman of the committee, Trey Gowdy, R-SC] give their briefing and taking questions about the release of the damning [to the Obama administration and Hillary Clinton] Benghazi 800 page report. 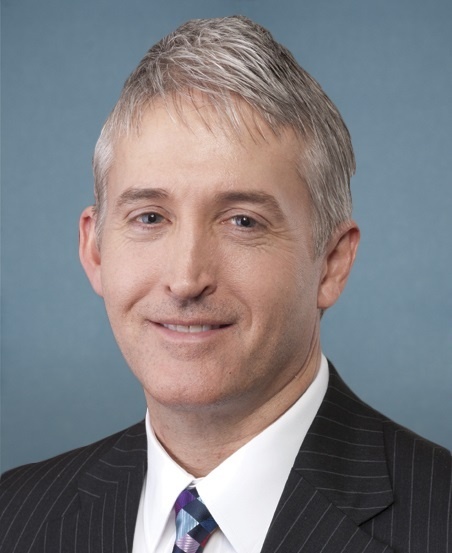 "I say Bravo and God Bless Rep Trey Gowdy-SC- as chairman of the Benghazi committee - for the work they did in uncovering the sickening actions (or lack there of) of The State Dept (i.e., Hillary Clinton) and this administration (i.e., President Barack Obama) that resulted in 4 Americans dead and the subsequent scandalous cover-up. To think we are about to nominate a guy who called Gowdy a loser because he dared to endorse Marco Rubio for president and nominate a man who will almost surely guarantee Hillary Clinton as president, sickens me to no end." It is the cover-up and lying in the face to the families of the Benghazi four heroes by then Secretary of State, Hillary Clinton, that, in the words of Senator Marco Rubio, make her "disqualified to be the commander-in-chief /president of the United States of America". Shame on Barack Obama and Hillary Clinton. Now, after the release of this devastating Benghazi Report, it will be shame on the GOP delegates in Cleveland if they fail to honor the four great Benghazi patriots and their families, if they nominate the candidate who will most likely guarantee a Hillary Clinton presidency.